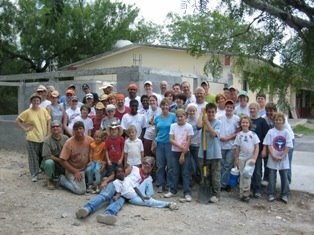 From July 22-29 I was part of a missions team that travelled to Reynosa, Mexico to work with Isaiah 55 Deaf Ministries. Their website, which describes their priorities and vision, is here. During the week, there were 62 people from various churches who took part in the work along with the staff of Isaiah 55. 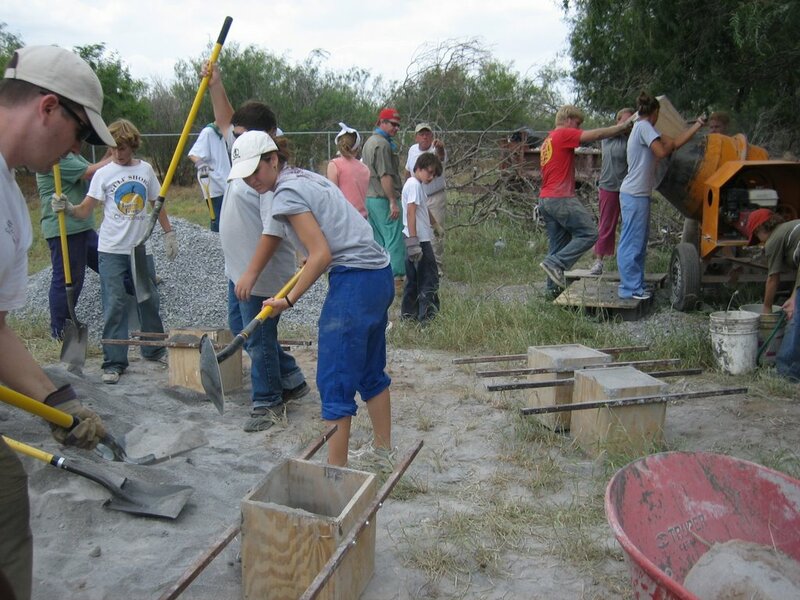 Although we offered a Vacation Bible School to children, I spent most of my time with the construction crews, improving and/or building schools (including a school for deaf children that will be operated by Isaiah 55). 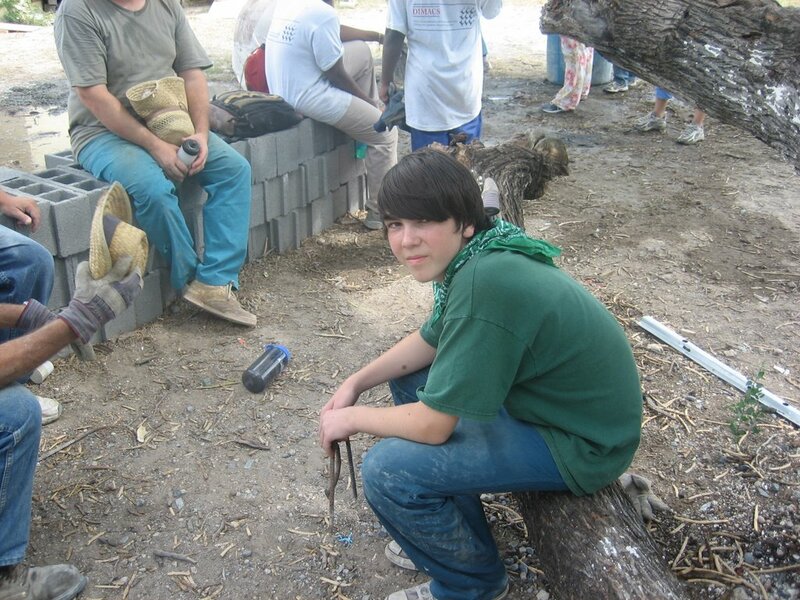 It was hot, hard work, the kind that dirties and destroys your clothes. Meanwhile, our attitudes were sustained by prayer and evening worship. Many children came on this trip - more than they've ever had, in fact. Not just teens, but younger children as well. And what most impressed me on this trip was how hard and how well they worked. These kids were shoveling gravel and sand to mix concrete, digging a drainage ditch, cleaning up after the adults -- and they always asked for more work, not less. After the trip, one of the teens commented about what he learned about himself: "I learned that I can work REALLY HARD," he wrote. Throughout the week I found myself thinking, I wish that I had this opportunity...this attitude...this experience as a kid. Whether they realized it or not, the work instilled in these kids confidence and righteousness. This past week, cleanliness was not next to godliness. But sweatiness was! Lost Art of Loving God, Part Two: Find a Friend! Memo to Mel: We're Better than You!